- Gildan Heavy Blend 8.0 Ounce Youth Sweatpants. - Elastic waistband and elasticized cuffs. 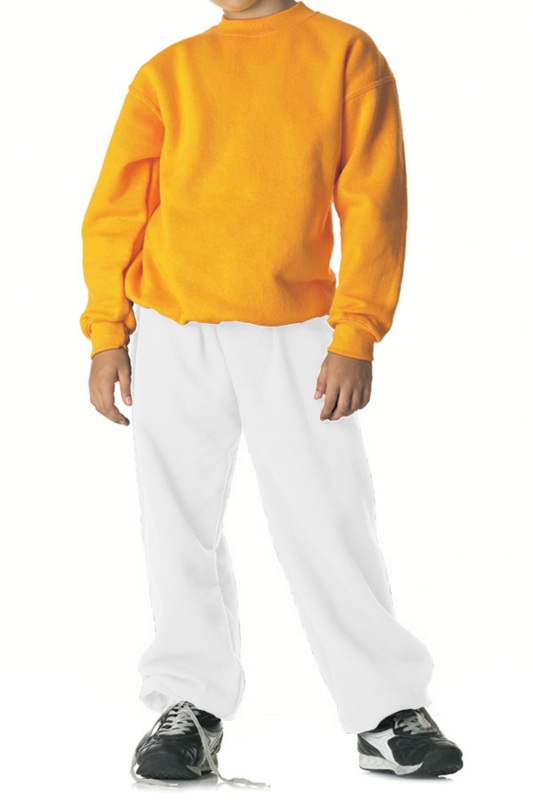 Gildan Heavy Blend 8.0 Ounce Youth Sweatpants. 8.0 ounce 50/50 cotton/polyester sweatpants with covered elastic waistband and drawcord. Elasticized cuffs. No side seams. Tear away label. Youth sizes. No pocket. No side seams. No drawstring. Elastic waistband and elasticized cuffs. CPSIA Tracking Label Compliant. Tear away label. Sizes: S-XL. Heathers: Ash, Graphite Heather, Sport Grey. Colors: Black, Navy, Red, Royal.